This is a mighty Italian monster, in a rather surprising location. 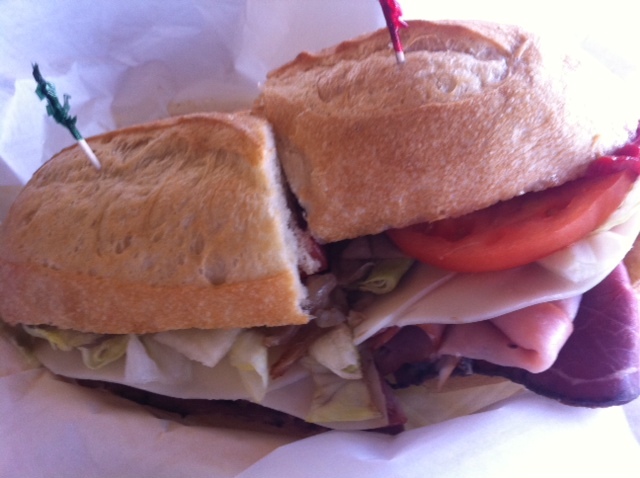 The Kitchen is a tiny cafe hidden in a southwest Vegas industrial/office park, and this is its signature sandwich. It's absolutely stacked with salami, ham and a pile of rare roast beef, provolone cheese, lettuce, tomato, peppers, onions and oil and vinegar dressing. It's one of those can't-believe-I-ate-the-whole-thing situations, but its meaty goodness is worth the impending sandwich coma. Also, the hard Italian roll is pretty substantial, crispy with a nice, slightly salty taste.